Cardiac Science Powerheart® G3 Automatic AED brings a further evolution of simplicity and intuitiveness to the Cardiac Science Powerheart®. 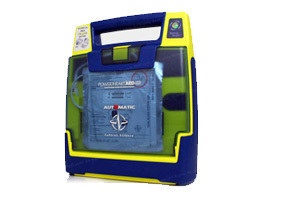 This AED comes with all of the advanced features the G3 semi-automatic unit and in addition it has eliminated the need to push the shock button. The Powerheart AED G3 Pro is a fully-equipded AED for medical professionals. 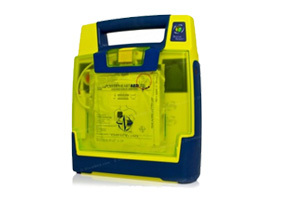 This AED has a full color display, 3 lead ECG monitoring ability and manual defibrillation override. This flagship Cardiac Science AED (Automated External Defibrillator) is one of the premier Rescue Ready® professional and portable AEDs on the market today.